Nowadays, Observability has become a hot topic in the software industry. Observability, a term that comes from control theory, is a measure of how well internal states of a system can be inferred from knowledge of its external outputs. This session will focus on the observability of WSO2 products, the tools for observability and how WSO2 will make its next generation products observable by default using well-known standards like OpenTracing specification. 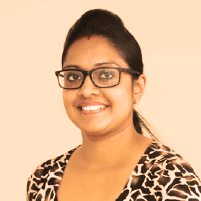 Sinthuja has been part of the WSO2 team for nearly 7 years. She has been closely working with and engaging in the design and development of various WSO2 products including WSO2 Data Analytics Server, WSO2 Dashboard Server, WSO2 IoT Server, and now Ballerina. Currently, she mainly focuses on the observability and governance aspect of Ballerina and other WSO2 products. She has also participated in and led multiple customer engagements, such as Quick Start programs and architecture reviews, and assisted in defining the solution architecture for multiple industries.